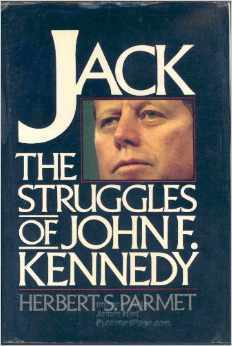 Published in 1980, “Jack: The Struggles of John F. Kennedy” is the first book in a two-volume series by historian Herbert Parmet. He is the author of eleven biographies and was a Distinguished Professor Emeritus of History at the City University of New York. 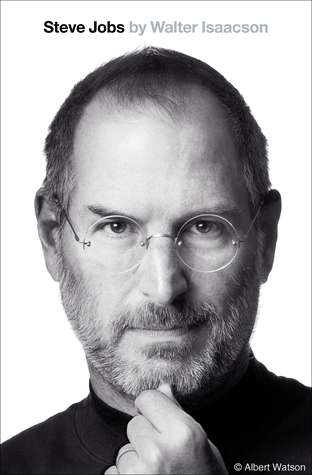 His most recent book “Richard M. Nixon: An American Enigma” was published in 2007. Parmet died early this year at the age of 87. This first volume of Parmet’s series is the oldest of my Kennedy biographies (excluding those authored by friends of JFK published shortly after his assassination). With 523 pages of text this book covers Kennedy’s life up to his 1960 presidential campaign and was the most detailed account of Kennedy’s pre-presidency for at least a decade following its publication. Obviously the result of thorough research, this early work on Kennedy was a valuable source of insight for historians and JFK enthusiasts (particularly relating to his puzzling medical ailments) until fresh primary source materials on Kennedy became available over the past two decades. As a result, Parmet’s biography no longer seems a “go to” source on Kennedy and is infrequently read or referenced. This volume is written in a generally straightforward, thoughtful and historically penetrating style. But it is often quite detailed and many readers will find greater-than-average patience is required to fully absorb its wisdom; it is far too easy to lose the forest for the trees and miss the “big picture” in this book’s twenty-nine chapters. Much more a political biography directed towards Kennedy’s career than a popular narrative focused on the evolution of his complex character, this book will frustrate readers hoping to “get to know” JFK but may well delight those seeking a foundation in his political progression. Accordingly, this is a book which is often historically insightful but not often entertaining. Among its many attributes, this volume offers a more colorful and fulsome introduction to Jackie Bouvier’s family than I’ve seen elsewhere as well as a fascinating introduction to Ted Sorensen (JFK’s indispensable political aide). Also excellent is the book’s detailed exploration of Kennedy’s near-nomination as Adlai Stevenson’s VP in 1956 and Parmet’s review of the controversy related to JFK’s authorship of the Pulitzer Prize-winning “Profiles in Courage“. Less satisfying is the author’s writing style which leaves Kennedy a frustratingly two-dimensional character stranded in a history text rather than a vibrant, colorful personality in a lively biography. Some subjects do not lend themselves to dynamic description (Martin van Buren and William Henry Harrison come to mind) but Kennedy is hardly a challenge to animate. And while Parmet offers a generally balanced perspective of Kennedy’s character he is reluctant to fully admit the extent of his subject’s compulsive womanizing. Overall, Herbert Parmet’s “Jack: The Struggles of John F. Kennedy” is a sober, serious and academically-oriented political biography focused on JFK’s pre-presidency (and, most notably, on his political evolution). Historians and scholars will discover a valuable, but no longer fresh or unique, perspective on Kennedy. Most readers, however, are likely to find the author’s portrait of JFK disappointingly dull and flat.